His + Hers is a weekly series that Brooke (from Pure & Noble) and I started as a way of sharing random peeks into our daily lives. Feel free to join in on your own blog if you'd like! 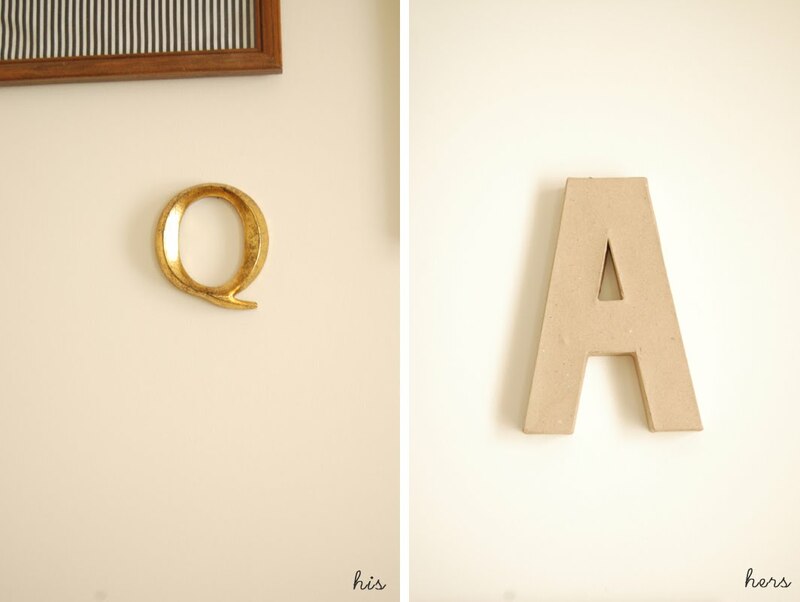 Our gallery wall is slowly expanding and we recently added letters for our initials. Q for Quentin and A for Alli. Next I want to add a little ampersand in between. I feel strangely guilty that my letter is so much larger than Q's, as if I think I'm more important. I also placed mine up higher hoarding all of the attention while Q is banished to the lower left corner. Very cute! We just did a similar thing... but using each of our dogs! Love this idea. This is such a cute idea. 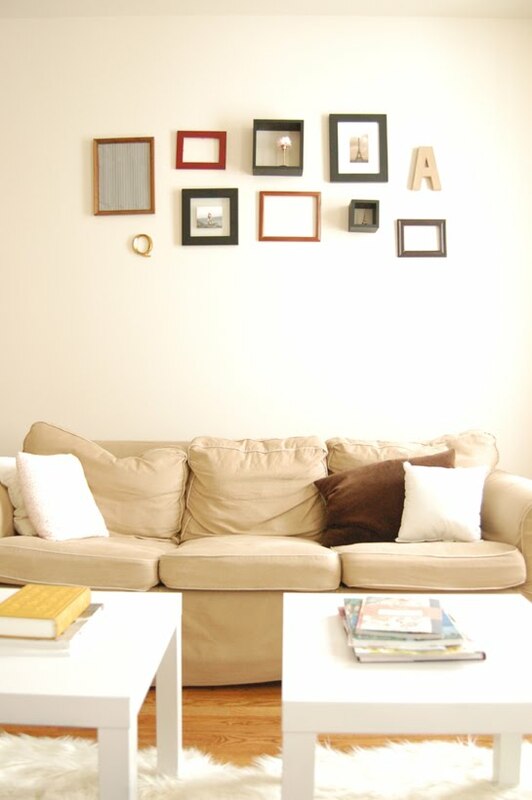 I have been wanting to redo our hallway with family photos and I think I may have to add our initials to it! Love this idea! this is SO CUTE! don't worry...his is in gold :) that should mean something! it's such a fun idea to have your initials there :) we have an 'e' for our last name! Ha! Kimia said exactly what I was going to say. Love this, so adorable. this is so cute - I think it would also work in the bedroom or even bathroom! thanks for sharing a unique display. haha!! this is great - i think it's okay that his is a little smaller. if it drives you crazy, just move his up a bit? i would totally be thinking the same things. But his letter is shinier than yours so it balances ;) I love this idea! I love it! Ours would be M&M! Precious Alli! What a cute idea! i adore this series idea. just stumbled upon your blog and i'm having such fun perusing. i think i might play along with "his & hers" next week :).